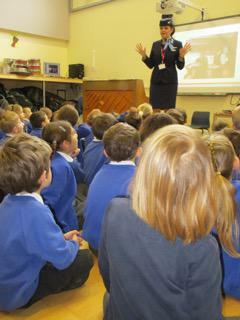 A world traveller impressed by geographical knowledge of children in Year 1. 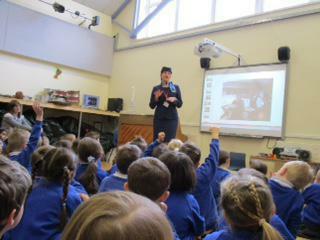 The children loved their visit this week from an air hostess, and it gave a wonderful context for them to talk about what they have learned this term about continents and countries. It was evident from their questions, and their answers to Fabiana's questions, that they could relate their learning to real places and experiences. 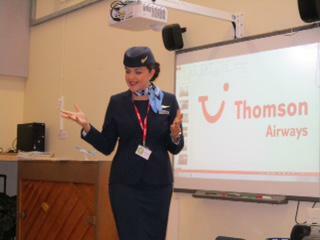 They were an enthusiastic and fascinated audience and Fabiana was impressed with their knowledge. (e.g. 'Does anyone know the name of this mountain, which is the highest in the world? '; child in Foxes: "Mount Everest. It's in the Himalayas".) 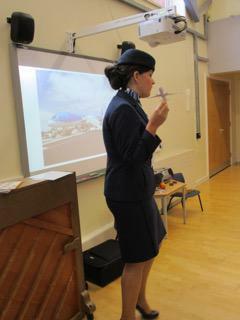 They have clearly learnt much from their "Round the World" theme!